Salzburg has a new approach to planning for water – developments will need to ensure Zero discharge into the local stormwater system. Green roofs are a major design consideration to achieve this. 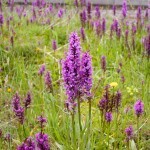 Orchids on green roofs are in the spotlight in the UK with the discovery of a single short Green-winged Orchid on a roof in Islington. 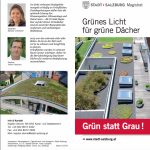 Orchids on green roofs in the UK may be uncommon, however, there are some famous Orchid roofs in Switzerland. 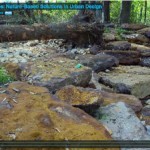 From problem to solution, the video is also a potted history of why are cities are suffering from pollution. Well made with great old footage of cities and old graphics, it is also about the community. Engaging people help create advocacy is a key element in the evolving world of green infrastructure and nature based solutions.